Capital TRUST Residencies Ltd. launched its latest project, Capital TRUST Residencies - ELVIN in Elvin Place, Nugegoda, bringing a world-class luxury living experience to the popular suburb. 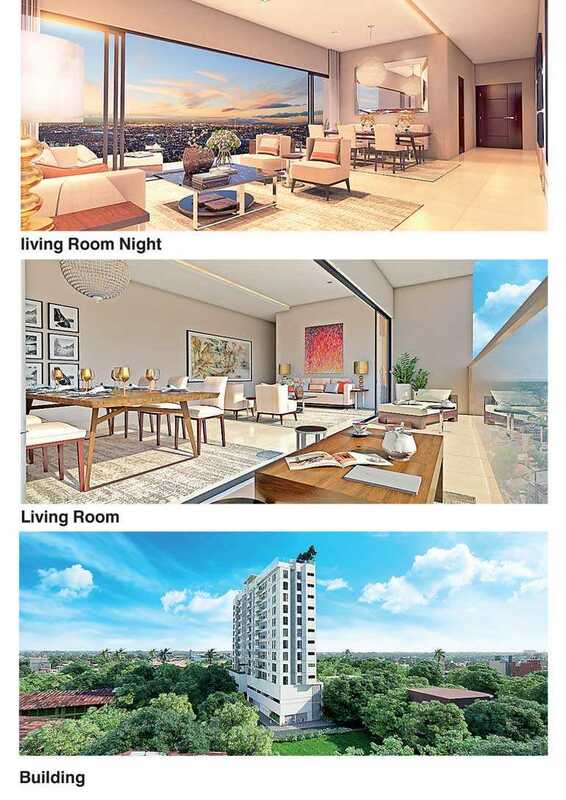 The company has successfully completed and issued the deeds for their award-winning project, namely a luxury apartment complex at Vajira Road, Colombo 4, which walked away with the ‘Best Condo (Sri Lanka)’ and ‘Best Residential Interior Design (Sri Lanka)’ awards at the Asia Property Summit in Singapore last year. The company’s Thimbirigasyaya Road, Colombo 5 project won the ‘Best Mid End Condo Development’ and also received a highly commended award for the ‘Best Condo Interior Design’ at the Asia Property awards held in Colombo on 12 July, while FORTRESS, Ethul Kotte secured yet another highly commended award for the ‘Best Affordable Condo Development’. Capital TRUST Residencies has established a reputation as a leader for creating living spaces for homeowners in the mid-end category who desire exclusive and secluded communities with luxury conveniences at their fingertips. ELVIN, located close to Nugegoda junction, is among the most exciting, luxury condominium projects in Colombo’s suburb. The Elvin Place project consists of 45 apartments, comprising two, three and four-bedroomed units on nine floors, all of them offering a panoramic view of the city. Residents could experience the luxury and convenience of the location which is in close proximity to banks, shopping malls, supermarkets, restaurants and many retail outlets of upmarket brands in the vicinity. The apartment is designed in such a way as to maximise the play of natural light and ventilation while conveying a sense of space and airiness. The living and dining sections are designed to be merged as a single space for entertaining large gatherings, with the balconies further extending the living space outdoors, while all balconies provide an alluring cityscape. ELVIN contains every modern amenity. The bathrooms are equipped with international modern sanitary ware with an uninterrupted supply of hot water. The pantry is a modern homemaker’s dream laid out in contemporary designs that are sleek, neat and minimal while optimising space usage. Each pantry is fitted with a quartz counter top, high quality double-drain stainless steel sink, top-end durable pantry cupboards, hood, hob and LP gas inlet, finished off with designer tiles and under-counter lighting. Other features designed to pamper residents at ELVIN include a rooftop swimming pool with an infinity edge and a landscaped rooftop garden which is ideal for socialising and entertaining guests. The ultra-modern gym fitted with state-of-the-art equipment will be a great place for fitness conscious residents to maintain their work-life balance at their own convenience. Twenty-four hour security ensures the total safety and security of the residents, with each apartment being connected to the security kiosk through intercom. The building will be protected by advanced fire protection and gas detection systems which will be certified by the Colombo Fire Department and a lightning arrester system to provide maximum protection from lightning hazards. Each apartment will have its own reserved parking space on the ground floor or on the first floor. Sri Lanka’s foremost architect of luxury high-rise living, Dan Ameresekere of Design One Studio, is the architect while a top-tier C1 contractor will be the construction company. Entering the financial services industry as a stockbroking firm in 1991, today the Capital TRUST Group of Companies has expanded into many areas of businesses including Margin Trading, Investment Advisory, Wealth Management, Property Development, Real Estate solutions, Information Technology, Packaging and Education.